Alanis Obomsawin spoke in Fredericton on Oct. 24, 2018. Photo by Shanthi Bell. Filmmaker Alanis Obomsawin was in New Brunswick on Oct. 24, 2018 to present her film Trick or Treaty? as part of the Indigenous Film Series held by St. Thomas University’s Senate Committee on Reconciliation. Obomsawin was introduced by film scholar André Loiselle, Dean of Humanities at St. Thomas University (STU). Loiselle highlighted Obomsawin’s many accomplishments, recognitions, and prize-winning films and initiated a conversation with the filmmaker after the screening. The documentary she presented, Trick or Treaty?, from 2014, is especially concerned with Treaty 9 concerning the Cree and Ojibwa people of northern Ontario. 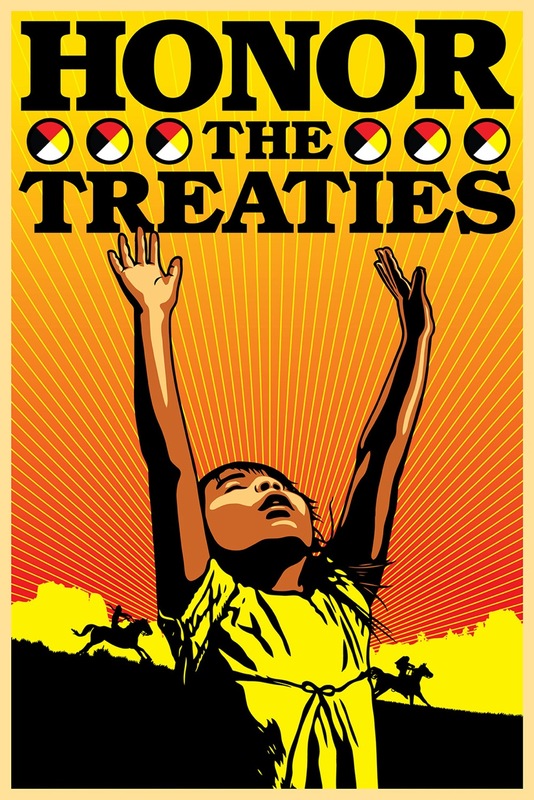 The film describes how the signatories were not correctly informed of the meaning of the treaties by those explaining the treaty and requesting their signatures in 1905. The film also covers the Idle No More Movement, the 6-week hunger strike by former chief of the Attawapiskat First Nation Theresa Spence (2012-2013) as well as the 2-month Journey of Nishiyuu by 6 youths from the Whapmagoostui First Nation, from the northernmost Cree village in Québec on Hudson’s Bay to Parliament Hill in 2013. For Obomsawin, “Canadians have no clue, they think [the Treaty] has no meaning. It’s the contrary for our people.” Discussion of Treaty 9 were ongoing at the time she made the film and people were able to get a clear picture of the Treaty through a conference she filmed in Moose Factory by a noted treaty historian John Long, author of Treaty No. 9: Making the Agreement to Share the Land in Far Northern Ontario in 1905. Long’s conferences were crucial “for teaching and making people understand how things were done, [through] cheating and lying”. During the discussion, Obomsawin was asked about the two films she made about New Brunswick’s Indigenous communities. Incident at Restigouche was about the raids on the Listuguj Mi’kmaq First Nation by Quebec police to impose restrictions on Indigenous fishermen. When she made the film, Obomsawin “was very angry because the Minister treated the Mi’kmaq very poorly.” She added: “I had a hard time making that film. I was fighting the whole time. It was a calvary to make.” It was filmed in 1981 and came out three years later. The film contains a famous scene where Obomsawin grills then Quebec Minister of Fisheries Daniel Lessard who had ordered the raids. Obomsawin joked that “The Minister had the courage to come” be interviewed, despite the fact that he had been forewarned about her methods. Obomsawin has a frank approach when interviewing politicians, “If they’re insulting our people, I’m going to show them how I feel.” She added: “I’ve been at it for fifty years. At the beginning it was very different.” Relaying anecdotes from her beginnings doing research for a film, she said “the minute it was an Indigenous person, [federal bureaucrats] made things very difficult.” Obomsawin believes that would never happen today. Loiselle noted that the Trick or Treaty? story shifted when music began to be included. Obomsawin noted that music and song is really a central part of her peoples’ life: “music really goes to the heart of people. It’s so much easier to receive the story.” Along with her recognition as a documentary filmmaker, she has also been a singer since the sixties: “I never stopped singing but I wasn’t doing concerts.” Her album Bush Lady has had a long journey: it was written in 1960, recorded in 1985, rerecorded in 1988 and remastered and rereleased in 2018. Last year, Obomsawin sang in a festival in Holland at the age of 85 and, in September 2018, she sang in Montreal. Obomsawin is from Odanak, Quebec, part of the Wabanaki Confederacy, about halfway between Montreal and Quebec on the south bank of the St. Lawrence River. On the album, Obomsawin sang a song about Odanak, and specifically about taking care of the place, about strangers coming and Indigenous people losing their land, a warning told by a beaver to a woman washing clothes at the river. The STU Indigenous Film Series continues on Nov. 14th with the film Forgotten Warriors introduced by former Lieutenant Governor of New Brunswick, Graydon Nicholas. The film will be shown at 4pm in Kinsella Auditorium on STU Campus. Sophie M. Lavoie writes on arts and culture and is a editorial board member of the NB Media Co-op.